For the past 40 years, BigToys has been building commercial playground equipment that provides a safe, fun, developmentally appropriate play experience for kids around the world. Whether you choose a structure made from recycled steel and 100% recycled plastic, or Forest Stewardship Council certified wood, you'll be building one of the most environmentally friendly playgrounds available anywhere today. 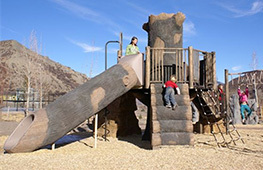 Our kid friendly wood treatment is EPA approved and BigToys' school and commercial playground equipment contains NO PVC. 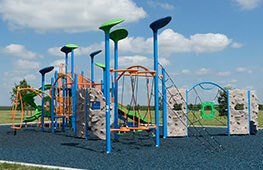 You dream it, Cre8Play can build it. Whether its a Giant Tree with a fallen log slide, a realistic Barn, a shipwreck or whimsical airport, our team will ensure your themed environment is believeable. Here at Cre8Play we design, produce and manufacture unique custom themed play environments like no one else can. 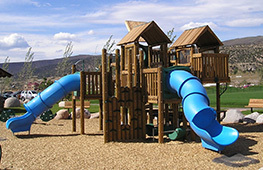 Elephant®Play (formerly Techno Playground Equipment) is a commercial playground equipment manufacturer of innovative and dynamic play structures. 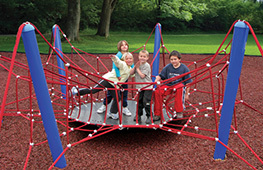 Since its inception, Elephant Play has established itself as a premier name in the playground equipment industry, designing multi-dimensional play structures that encourage active, social, and accessible play for children of all ages. 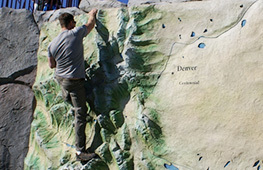 IDSculptire designs and fabricates custom sculptural landscapes from a proprietary thin shell concrete composite. Founded in 2004, from a love of climbing and material innovation, IDS is now a group of talented craftsmen and designers with a wide breadth of skill and experience. The IDS team works together to produce the most unique and functional products within each market we touch.